This monograph arises from Shepherd’s Ph.D. work at Durham University in 2012 under the direction of Walter Moberly. He proposes to study a theologically rich passage in the Hebrew Bible through the lens of three significant Isaianic scholars as way to explore the value of classical historical criticism in the light of recent developments in the field of theological interpretation of Scripture. Bernhard Duhm represents historical criticism of the nineteenth century and is well known for the religionsgeschichtliche Schule of Protestant liberalism. Brevard Childs is often associated with canonical criticism and is something of a godfather of recent theological interpretations of Scripture. Alec Motyer represents an evangelical voice who has a strong faith commitment to Scripture. Shepherd describes Motyer as an evangelical who “reads the Old Testament without recourse to critical questions” and is guided by “core theological and doctrinal convictions” (p. 6). In fact, Shepherd considers Motyer’s work on Isa 53 “a true tour de force in evangelical interpretation” that is theologically coherent and exegetically independent (p. 198). Aside from their magisterial commentaries on Isaiah, an additional factor in selecting these three scholars is that their hermeneutical approach is a “rhetorical positioning away from a perceived threat” (p.200). Duhm moved away from teleological readings of the prophets which read Isaiah only through the lens of Christ (“Erscheinung Christi”). Childs moved away from Protestant Liberalism’s fascination with “Historie” by emphasizing the connection between the Old and New Testament. Motyer does what Duhm avoided, he reads the prophets as messianic prophecy fulfilled in Christ, although he seeks to set the prophecy in an original eighth century B.C. context as well as applying it to the modern church. Another contrast between the three scholars studied in this monograph is each has an interlocutor representing a threat which proper exegesis will answer. For Duhm, “supernaturalists” such as Delitzsch and Hengstenberg, although Shepherd points out it is not always clear if Duhm has a specific scholar in mind (p. 233). Childs approach is in dialogue with “anthropocentrists” in contrast to his own “theocentric” hermeneutic. He has in mind the religionsgeschichtliche Schule. Since Motyer is concerned with the unity of the book of Isaiah, he distances himself from the “rationalists,” specifically Eichrodt and Von Rad. Shepherd says “Motyer’s rhetorical shaping suggests that those who are open to traditional source-critical work have no basis on which to wed text with doctrine” (p. 237). Shepherd devotes two chapters to each scholar. He first sketches the theological hermeneutics represented by the scholar, then he examines the application of those hermeneutical strategies on Isaiah 53. This text was chosen because it is, as Shepherd puts it, an “easy target” (p. 5). More than this, Isa 53 has been located in various ways in history and has been an important text moving from antiquity to the Christian theology. The complexity of the passage is conducive to both historical critical studies and a theological reading. Shepherd is clear that the his study is not interested in the correct reading of Isaiah 53, but rather the moves made by the interpreters as well as the theological and philosophical commitments which inform those exegetical decisions. Shepherd offers several observations by way of a concluding chapter. Duhm’s comments in Isa 53 demonstrate his work as an interpreter on the “raw materials” of the text, and he does not think the poem refers to the Christ event. Yet Shepherd points out Duhm “felt the need to reflect theologically,” although in a section separated from his exegesis. This “historical distancing” of theology and history is somewhat artificial, Shepherd suggests, but it was “already underway in his prior exegetical moves” (p.203). Childs consciously approaches the text of Isa 53 as a Christian interpreter and stands with those interpreters who have gone before. Since Childs argues the poem has been “loosed from particular historical settings and relocated to a literary context,” the concrete, original historical context is important only in the sense of “types,” or foreshadowing of how the final writer intended the poem. The placement of the poem in Second Isaiah points to an eschatological theme: “God intervenes to end the exile and to usher in his eschatological reign” (p. 208). Reading the poem as a Christian, Childs stands with virtually all patristic and scholastic interprets by identifying Jesus as the servant. The original context is inaccessible and may even be at odds with a theological reading of the text. Motyer approaches the text as a divinely inspired revelation from God and therefore emphasizes God’s sovereignty and involvement in history. Yet he is still interested in the facts of history, although these are the facts as they relate to God’s work of redemption. Shepherd considers this a “strange relationship” with modern knowledge. Motyer uses history to avoid “make believe,” but the Bible itself is immune from critical analysis (specifically, Motyer’s reading of Isaiah as the work of a single eighth prophet). Motyer reads Isa 53 as a referring to a servant in history, but the poem “reminds” the Christian reader of the “resurrection, ascension and heavenly exaltedness of the Lord Jesus” (p. 213). Shepherd concludes Motyer collapses the distance between history and Christian theology. Old Testament and New Testament share the same messianic context and theological foundations. As an example of this, Shepherd cites Motyer’s unapologetic reading of Isa 53 that supports penal substitutionary atonement (p. 228). While Childs would be cautious in imposing this kind of theological category, Duhm rejects this kind of theological reading. In his epilogue Shepherd asks if Historical Criticism is a “Friend, Foe, or Foil.” Shepherd interacts with Francis Watson’s assertion that historical criticism does not really exist since every generation of Christian interpreters have used all of the scholarly tools available to them. In fact, to create a dichotomy between “historical criticism” versus “theological interpretation” assumes the two exist in complete isolation. This is simply not how exegesis works. “The task of the biblical ‘historian’ was likewise bound up with questions of personal commitment” (p. 260). Conclusion. Shepherd’s study achieves what it proposes to do. He does in fact offer a “sympathetic yet critical” reading of these three diverse scholars. By contrasting Duhm with Moyter, Shepherd appears to be favoring Childs as a “golden mean” between the two extremes, the modernism of nineteenth-century Protestant liberalism and the twentieth-century evangelical (fundamentalism?) reaction to liberalism. But he does not set Duhm or Motyer up as straw men; their ideas and hermeneutical strategies demonstrate Shepherd’s thesis that personal commitment will always color interpretation. NB: Thanks to Bloomsbury for kindly providing me with a review copy of this book. This did not influence my thoughts regarding the work. Hill begins his book by comparing several approaches to Pauline Christology usually designated as “high” or “low” Christology. For low Christology begins with the work of James Dunn and James McGrath. Starting point for low Christology is Paul’s Jewish, monotheistic heritage. Paul simply would not have conceived of the relationship of God and Jesus and Trinitarian terms. McGrath argued Paul expanded or split the shema. God and Jesus together do not constitute a single God, but rather there is “one God” and there is “one Lord.” In both Dunn and McGrath, there is a conscious effort to bracket out later Trinitarian theology, since Nicaea would “allow an alien question…to obscure what was at stake in Pauline Christology” (p. 19). High Christology, on the other hand, begins with the idea of Jesus and God are equal. As has been pointed out by Larry Hurtado, the earliest Pauline Christians worship Jesus, considering him in the closest possible relationship to God the Father. Hurtado and others have pointed out “worshiping Jesus was for the early Christians actually a requisite demonstration of the reverence for God ‘the father’” (p. 64). Hill thinks the high/low Christology discussion is not particularly helpful for understanding “Paul’s God.” Therefore in the the second part of the book Hill discuss is God’s relationship to Jesus. In order to do this, he examines a series of texts in which God is identified by actions done by/to/in Jesus primarily through Paul’s description of the God of Abraham as the same as the God of Jesus. The same God Abraham trusted is the one who raised Jesus from the dead. Galatians is not only a battle for the right interpretation of Abraham’s faith, but also for a right identification of God himself. As Hill concludes, “There is no ‘monotheism’ with Christology” (p.74). In the third section of the book Hill reverses the direction of the relationship and examines Jesus’s relationship to God in the most significant Pauline texts for understanding the Trinity, Philippians 2:6-11. Hill argues the identities of God and Jesus are “mutually determined” (p. 77). After careful exegesis of Phil 2:6-11, he concludes there is both a unity between God and Jesus in the text as well as distinctions between the two. The Trinitarian pieces are on the table, so to speak, and by applying the insights of Gregory of Nazianzus, Basil, and Augustine, Hill concludes the two aspects of Phil 2:6-11 are “irreducible to one another, equally ultimate and non-overlapping” (p. 108). Yet there is a kind of asymmetrical relationship since Jesus is subordinate to the Father in some ways. But for Hill, this does not render the relationship any less mutual. In the fourth section of the book examines Jesus’ relationship to God in two important texts from 1 Corinthians. First, in 1 Cor 8:6 Paul affirms there is but one God, but also that there is one Lord, Jesus. Hill considers this interpretation of shema to contain the same unity between God and Jesus found in Phil 2:6-11, but also a distinction between Father and Son. Dunn would see this as an example of Paul “splitting the shema” to emphasize the distinction between the two. McGrath rejects this as an unwarranted division since the same kind of formulation appears in 2 Sam 7:22-24. Bauckham, on the other hand, find this statement to be a strong affirmation of the unity between the Father and Son. Hill sees this text as an example of “non-competitive and mutually complementary” Trinitarianism. God the Father and Jesus belong together as the “one God” of the shema as distinct agents. He finds the same elements in the “second Adam” Christology of 1 Cor 15:24-28. Hill concludes that this asymmetrical mutuality or “redoublement” does justice to both the priority of the Father (who sends the Son) as well as their unity, since the Father depends on the Son in order to be identified as the Father. The Father and Son are interdependent, but they are not interchangeable (p. 135). The final section of the book examines the role of the Spirit in relation to God and Jesus. Just as the Father and the Son are asymmetrical mutual, so too the Holy Spirit conveys the presence and activity of the risen Lord and is therefore God- and Christ-determined. Texts such as 1 Cor 12:3 indicate the activity of the Spirit is dependent on the Father and Son since no one can confess Jesus as Lord unless through the Spirit. Yet when Paul speaks of the Spirit, it is the Spirit of God who identifies the Father and Son through their mutual relationships. Hill wants to avoid so-called “binitarianism” associated with C. F. D. Moule, although this perspective itself is guided by the high/low Christology discussion. It is the relationship For Hill the Spirit is the “means whereby Jesus mediates his power or presence to and among believers” (p. 164). Conclusion. Hill recognizes early on that his method can be described as a projection of categories on to the Pauline texts, resulting in exactly the kind of results he expected in the first place (p. 45). This is of course the danger any theological reading of the New Testament faces, since in many ways the conclusion is assumed from the beginning of the project. By treating Pauline theology and later Trinitarian theology in a kind of dialectic, he opens himself to the charge of petitio principia, begging the question. Fourth century dogma can guide exegesis, or as Hill puts it, “theology and exegesis are, or ought to be, mutually dependent” (p. 47). There are therefore two things going on in this book. First, Hill offers a correction to the high/low Christology discussion. He think both sides fail to adequately describe Paul’s view of the relationship between Father and Son primarily because they consciously ignore later theological discussions of the Trinity. Second, Hill demonstrates a theological exegetical method which balances the historical critical method with a kind of “rule of faith” common in these sorts of studies. His exegetical discussion of Phil 2:6-11 is excellent. Although I personally would not look to Augustine as an exegetical guide, Hill does a good job showing how later Trinitarianism sheds light on the passage. While Hill achieves his goals, scholars who have been active in the high/low Christology debate may not consider Hill’s goals their own. The first six verses of the Psalm described God’s continuous silent revelation of his existence and attributes to the whole world. Despite the testimony of creation, not all people recognize the God of creation and fail to give him his proper glory. He therefore has revealed himself more specifically in his Law. This is a written revelation, and like creation, it is a constant and steady witness to God’s existence and attributes. While creation reveals the creator God is powerful, the Torah reveals he is fair and just in all his commandments and these commandments are good for those who follow them. God’s revelation is described with six different terms: law, testimony, precepts, commandment, fear, and judgments. All four give the impression that “comprehensive emphasis that all of the words of the Lord are beneficial” (Ross, EBC, 182). Testimony is covenant language and is a retelling of God’s saving acts (HALOT). This is not a written document, like the Torah, but a testimony to what God has done for his covenant people. 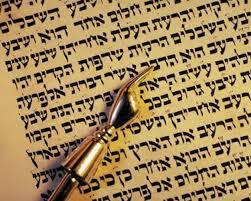 Precepts and commandments are the individual elements of the Torah. Precepts are the “procedures” for how the Law works (פִּקּוּדִים, only in the plural in the HB, exclusively in the Psalms, 21x in Ps 119). Commandment is the standard word for the law (מִצְוָה 43x in Deut alone). Each of these six words for God’s revelation are described with adjectival phrases to highlight the reliability and perfection of God’s revelation. Perfect or blameless is a word (תָּמִים) which refers to the perfection of sacrificial animals: they are to be without fault (Exod 12:5, for example). It can have the sense of complete, there is nothing left out of the Law or nothing which is incomplete. Sure (nifel participle of אמן) has the sense of enduring or permanent. A thing which is enduring is reliable, always there at all times in the sense of being faithful and reliable. The word is translated “steadfast” in some of the Psalms. Upright or straight (יָשָׁר) is a common word used to describe something which is morally correct (a straight path, for example), or a person who is living a morally correct life. The phrase “upright in heart” is used in the Psalms frequently. Pure is a rare word in the Hebrew Bible (בַּר II), although it is used in Ps 24:4, a person with a pure heart may ascend the holy hill of the Lord. God’s revelation is described by six phrases. The first four are the results of an encounter with the word of the Lord; the final two are further characteristic of God’s revelation. Syntactically, these are all participles with an object. Reviving the soul. The verb can be refresh, restore, etc. (the common שׁוב in the hifel). When one is aligned with the word of God properly, then ones inner person is restored to where it originally belonged. Making wise the simple. The simple are in experienced people who do not know how to get through life. God’s word can give them the categories of thought that help them to understand how to live life to the fullest. Making the heart rejoice. The heart is a person’s inner being, what they are at their inner core. God’s word provides and enlivening of the soul, a strange happiness despite circumstances. Enlightening the eyes. The ESV follows many modern commentators who take the verb often translated as “warned” as cognate to “illuminate,” this is probably correct, since in the context the sun has been mentioned. The word of God shed light on everything, and light exposes things which are hidden. To read tiny writing, you need light at just the right angle to make out the letters. So to the word of God brings to light aspects of our lives which need to be addressed, but also shed light on how to live out a godly life. Enduring forever. That God’s word endures forever is repeated often in the Bible, Jesus said not even the smallest mark or letter will pass away. But what does an eternally enduring word of God mean? Like the general revelation of creation, God’s propositional truth claims are always true. For example, God declares he exists in creation, and in the special revelation of the Bible God reveals creation is good and humans have become estranged from God because of sin. This is true and that truth will endure forever (science will not prove humans are not in rebellion against God, for example). They are entirely righteous. There is nothing about God’s special revelation which is not just and fair. Even though creation is constantly pouring forth speech, it is not enough to fully reveal God. It is only through the special revelation of God’s word one can fully encounter God. Celebrate a long hot summer with the July 2015 Biblical Studies Carnival by Lindsay Kennedy (@digitalseminary) at My Digital Seminary. I am sure Lindsay would appreciate having a few nominations for top posts for the month. Here is a link to Lindsay’s form to submit links. In August, Bob MacDonald (@drmacdonald) will host the Carnival, but he rest of the year is more or less open. Please email me (plong42 at gmail.com) and pick your month! Carnivals are a great way to attract attention to your site if you are new blogger, but more importantly it gives you a chance to highlight the best and the brightest in the world of bibliblogs. 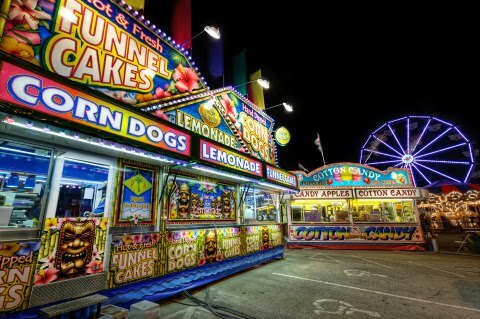 Biblical Studies Carnival, Biblioblogs, Blogging, Carnival, Huzzah! The first half of Psalm 19 is a meditation on Genesis 1. Heavens and sky refer to all of creation. 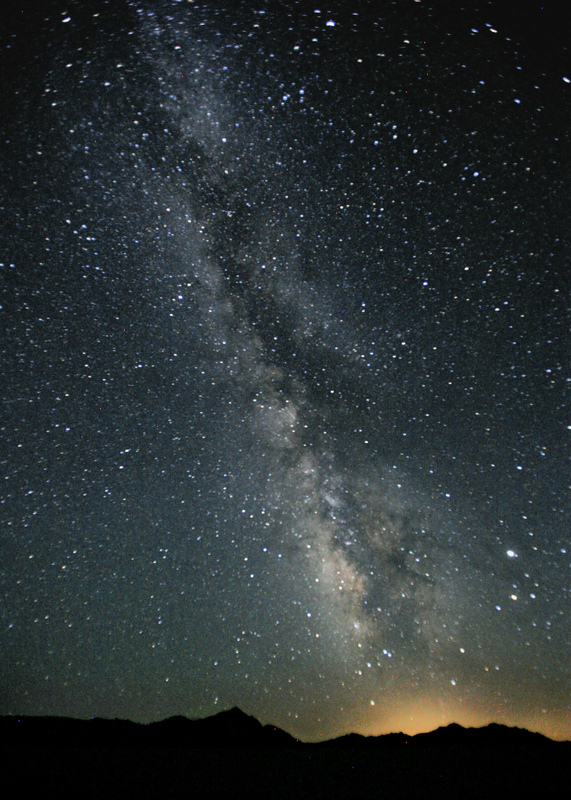 The “heavens” is the atmosphere in this case, and the skies are the firmament from Gen 1:7 (רָקִיעַ). In the worldview of the Ancient Near east, the “vault of heaven” was a kind of “beaten metal plate” on which the sun, moon, and stars moved. The Psalmist uses this commonly understood description of the world and argues it reveals something important about God. The heavens both “declare” and “proclaim.” These common verbs refer to speech acts, although “declare” can have the sense of making a formal record, often a written record. Usually this word has the sense of a pronouncement of some important information, even a “report.” It is the verb, for example, used for the report from the twelve spies in Numbers. Both verbs are participles, emphasizing the ongoing nature of this testimony: the heavens are continually declaring God’s glory. Coupled with the “day and night” of verse two, the writer is clear this revelation is constant and ongoing. “Pouring forth speech” is a vivid metaphor of rapid speech. The verb (נבע) refers to “bubbling” or “gushing” water. Think of the way an excited five-year old tries to relate a story, words gush from the kid as fast as they can talk (usually one long sentence you can’t follow anyway!) Creation is a constant flow of information about God. The content of all this constant speech a revelation of knowledge. This knowledge certainly contains facts, but there is more to it than a series of propositions since biblical knowledge leads to proper response to God. In Prov 9:10, for example, parallels the fear of the Lord as the beginning of wisdom of God with knowledge of the Holy One. This testimony goes out to the whole world even though there is no speech (19:3-4). In theological terms, this Psalm is talking about creation as general revelation from God. Humans can know some things about God from observing nature, his existence and power, for example. By analogy, there are universal symbols virtually every culture knows and understands (poison is a skull and crossbones, for example). You may not know what the poison is in the bottle, but anything with that symbol is understood as dangerous, especially if there are red letters and exclamation points. This revelation is so clear there is no one who can escape God’s self-revelation, he is like the sun in the sky, a bridegroom proudly going up from a wedding or a warrior charging into battle. “Just as the sun dominates the daytime sky, so too does Torah dominate human life” (Craigie, Psalms 1-50; WBC, 184). This is similar to Paul’s point in Romans 1:18-25. God clearly reveals his existence and some of his attributes in order to draw people to himself, but humans suppress this knowledge and worship created things rather than the creator. If God reveals himself so clearly in creation, why do people twist or reject that revelation? Logos Bible Software has completed their Lexham Bible Dictionary. The LBD weighs in at over 4.5 million words in more than 7,000 articles. It took about five years for the 700 contributors from to complete the work. The Dictionary is completely integrated into the Logos system from the beginning. Some articles were written top-notch scholars, for example: Mark Goodacre, “Gospels;” Andreas J. Köstenberger, “New Testament Use Of The Old Testament, Survey;” Michael Bird, “Justification;” Nijay Gupta, “Ethics, New Testament,” “Law in the New Testament,” and “Paul, New Perspective on.” The LBD used many other less-well-known scholars, but as far as I have seen they are all experts in their field. Some authors are borderline obscure: I have 19 very short articles in the LBD! When this resource was originally announced several years ago, Logos did some promotion at a national ETS. I recall at the time liking the idea of an online Bible Dictionary, but I was skeptical the articles would be the same quality as the Anchor Bible Dictionary, for example. But as it turns out, the LBD is in fact a worthy competitor to the ABD, and has several advantages over any print dictionary. The Lexham Bible Dictionary was able to assign longer articles for topics a print Dictionary could not devote much space, a clear advantage of an online format. Another advantage is the ability to change and update articles on a regular basis. With a print dictionary, the only way to update is through a supplement volume. Another advantage for Logos users is the Lexham Bible Dictionary is already part of most base packages, making the cost to the average using negligible. I look forward to seeing if the LBD can gain stature in the academic world. I expect there will be some resistance to citing the LBD, but most of the articles are on a par with the Anchor Bible Dictionary, the resource I would consider the standard reference work for biblical studies for the last 20 years. The Lexham Bible Dictionary represents a new way of presenting scholarly material outside of the confines of a physical book. To have a 6-volume, 7000 page resource on my iPad and with me where ever I happen to be is exciting! While I will always prefer a book to an electronic resource, the LBD is a worthy contribution to the study of the Bible. This monograph is an introduction to the archaeology of Philippi, tracing the history of the city from the time of Paul through A.D. 600. Verhoef contributed an article on the history of Philippi (“The Church of Philippi in the First Six Centuries of Our Era,” Teologiese Studies 61 (2005): 565–92) and has visited the archaeological site many times. This book is aimed at a general readership and does not attempt to be a technical study of the archaeology of Philippi. Chapter 1 traces the history of Philippi prior to the first century. Verhoef’s interest is in Roman Philippi so he quickly sketches the origin of the old city. After the battle of Actium Augustus refounded the city and settled additional veterans. According to Verhoef, the total number of inhabitants of Philippi at the time of time of Paul’s visit was nearly 10,000 (9), with slaves making up about 20% of the population (12); “Philippi was certainly not a metropolis, even by the standards of its own time” (12). For Verhoef, it “is significant that authors in the first centuries wrote about Philippi virtually exclusively with respect to the battle in 42 B.C.E. Words were hardly ever devoted to the town itself.” (12). Chapter 2 traces the origin of the church and Philippi and chapter 3 concerns Paul’s letter to the Philippians. Verhoef observes the city of Philippi had a distinct Roman atmosphere when Paul visited in A.D. 49-50. “The majority of the inhabitants of Philippi were Greeks by birth, but to a great extent the Romans were decisive for the atmosphere of the town” (16). After examining the relevant texts on the founding of the church in the New Testament, he points out there are eleven named individuals associated with Philippi. If families are included, then a reasonable estimate for the original church was about 33 adult members in a city of 10,000 (22). If there was a reasonable growth pattern of 15% growth per decade, the church not have reached 1000 members until the A.D. 300. For each century after the founding of the church Verhoef examines the archaeology, literary and inscriptional data pertaining to the growth of Christianity in Philippi. In chapter 4, Verhoef examines the archaeological evidence for Philippi in the second century. He observes “no Christians were mentioned as such in inscriptions, nor was there any construction of churches.” (53) The only literary evidence is the Epistle of Polycarp to the Philippians and a brief mention of the church in Tertullian. There is inscriptional evidence for the cult of Silvanus and Isis. With respect to the archaeology of Philippi in the second century, Verhoef observes the forum was completely reconstructed with impressive buildings erected around it. These buildings reduced Hellenistic Philippi to almost nothing (60). With respect to the so-called Paul’s “prison,” archaeology shows the location was constructed by the Romans as a water reservoir and was later converted into chapel by Christians. “It has never been a jail” (61). Chapter 5 examines the archaeology for third century Philippi. There are no third-century literary references to the church of Philippi. There are many inscriptions in Greek compared to the two preceding centuries, but there is “no evidence of Christianity in any inscription that can be dated to the third century with certainty” (67). One inscription mentions a synagogue, indicating a Jewish presence in the third century. Chapter 6 traces the growth of the church at Philippi in Christian Rome. The most significant change is the conversion of Constantine. This brought Christianity into the open and permitted them to build sanctuaries. “By the middle of the fourth century the number of Christians had grown to 50 per cent of the population of the Empire” (70). For Philippi, this resulted in two churches built during the fourth century. Verhoef speculates Christians took over some of the sacred space, re-using some the water for a baptistery (73), and a second church was built outside the walls of the city. “Surviving inscriptions show the presence of Christians in Philippi” (73), although Verhoef argues “The cult of Euephenes has probably been adopted by the Christians with some adaptations” (74), a position he argues in more detail in his article “Syncretism in the church of Philippi” (HTS 64 : 697-714). One burial inscription reads “‘Lord have mercy on us and raise us up who passed away in the true, orthodox faith” suggesting there was some tension between rival groups in Philippi (75). In Chapter 7 Verhoef demonstrates the ascendency of Christianity in Philippi. The century witnesses the construction of at least four basilica and a large church along the via Egnatia in the fifth century. Basilica A was about 55 by 27 meters. Verhoef assumes a space of 1 square meter per person, over 1,000 people could worship in the basilica (78). Two bishops of Philippi are known from this century, Flavianus and Sozon. Flavianus attended the Council of Ephesus in 431. “As far as we know the bishops of Philippi always took the orthodox position” (80). Chapter 8 describes the increasingly Christian character of the city of Philippi in the sixth century. There is a wealth of literary evidence for the church in Philippi and all of the churches were expanded during the sixth century. Bishop Demetrios was active in Constantinople and his familiarity with churches in the capitol may have influenced changes to the churches in Philippi. Chapter 9 is a brief note on the decline of the city after a series of earthquakes. This chapter adds nothing to the book and could have been omitted. Chapter 10 is a “walking tour” of Philippi one might make on a visit to the site today. The book also includes relevant texts in Acts and the book of Philippians for reference. The book is illustrated with a number of color photographs. When reading the book in the Logos Library these photographs can be cut and pasted into other documents or Logos can send the illustration directly to PowerPoint. Although these photos are not high resolution, they can be used to illustrate elements of the city of Philippi. Figures 37 and 38 appear to have the description reversed (public toilets). Verhoef includes a short bibliography of the more important works on the history of Philippi. Conclusion. This book is a good, popular level introduction to the history of Philippi and it could be very helpful for anyone visiting the archaeological site today. Frequently he refers to an inscription by present location so this book could be used as a handbook for exploring the excavations at Philippi. There is a lack of information on the imperial cult in Philippi, although this can be explained by a lack of evidence for the cult in first century Philippi. Nevertheless, given the pervasiveness of the Imperial cult in the Mediterranean world, I would have expected more focus in the book. There is a brief discussion of the Roman Soter in contrast to Jesus as Savior (29), but this is not supported by any inscriptional evidence. This shortcoming does not distract from the value of Verhoef’s monograph. NB: Thanks to Logos Bible Software for kindly providing me with a review copy of this book. This did not influence my thoughts regarding the work.